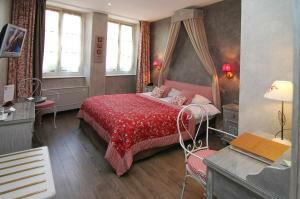 Hotel Beaucour price per day from € 115 . Appartements Paola, Pamela, Patricia et Pascale price per day from € 64 Located in the heart of Strasbourg, Appartments Paola et Pamela feature modern accommodation with free Wi-Fi and private entrance. Accessible by a staircase, the bedrooms are painted in bright colours. Strasbourg Train Station is 500 metres away and the closest Tram Station is only 100 metres away.. 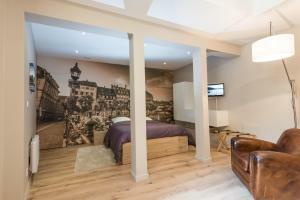 Studio Carré D'Or Studio Carré D'Or is a studio apartment located in Strasbourg, 200 metres from Strasbourg Cathedral and 300 metres from Strasburg History Museum. Restaurants, bars and grocers can be reached within a walking distance. Appartement Comme Chez Soi . Chambres d'hôtes Terre de Groseilles price per day from € 110 . 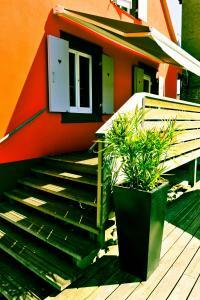 Hotel Aux Trois Roses price per day from € 70 . Hotel Kammerzell price per day from € 100 . Hôtel Patricia price per day from € 32 . Le Jean-Sébastien Bach price per day from € 81 . Hotel Royal Lutétia price per day from € 95 . 1. Head southeast on Rue de la Princerie toward Rue Taison. 2. Turn left onto Rue Taison. 3. Take the 1st left onto Rue Four du Cloitre. 4. Take the 1st right onto Rue du Chanoine Collin. 5. Take the 1st right onto Rue du Haut Poirier. 6. Turn left onto Rue des Trinitaires. 7. Take the 1st right onto Rue des Capucins. 8. Take the 1st left onto Rue du Tombois. 9. Turn right onto Rue de la Basse Seille. 10. Turn left to merge onto Bd André Maginot. 11. Turn left onto Rue Henry de Ranconval. 13. Keep left to continue on A314, follow signs for Boulay-Saint Avold/Sarrebruck/Strasbourg-Paris/Luxembourg. Partial toll road. 16. Take exit 51 toward Strasbourg-Centre/Avenue des Vosges/Robertsau. 18. Turn right onto Rue de Haguenau. 19. Continue onto Rue du Faub. de Pierre. 20. Continue onto Rue de la Nuée Bleue. 21. Continue straight onto Pl. Broglie. 22. Turn right onto Rue des Étudiants. 23. Take the 1st left onto Pl. du Temple Neuf. Golf club Kempferhof, 16 km from the centre of town of Strasbourg. Museum Bagage, Haguenau, 21.6 km from the centre of town of Strasbourg. Museum Chartreuse, Molsheim, 22.8 km from the centre of town of Strasbourg. History museum Haguenau, 23.6 km from the centre of town of Strasbourg. Cave Barabos, Obernai, 27.4 km from the centre of town of Strasbourg. Ski resort Gérardmer, number of cross country pistes: 40km. 90 km from town of Strasbourg. Ski resort Le Markstein, altitude: 1030m. 94 km from town of Strasbourg. Ski resort La Bresse Hohneck, recommended ski resort for beginners. 96 km from town of Strasbourg.